GENEVA, Ill. - The Kane County Cougars, Class-A Minor League affiliate of the Arizona Diamondbacks, welcome the Beloit Snappers (Oakland Athletics) to town for a three-game series. 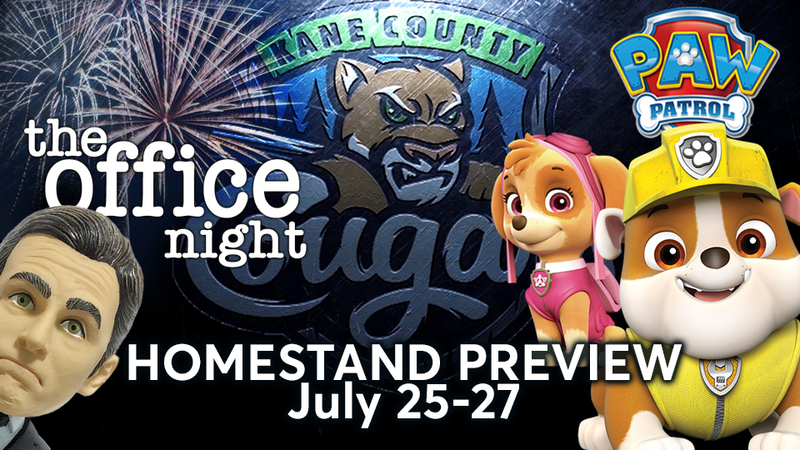 Tickets are available for each game during the upcoming homestand by calling 630-232-8811 or by ordering online at www.kccougars.com. • NICK JR. NIGHT featuring PAW PATROL - Skye and Rubble will be meeting and greeting fans in the KidZone. Cougars will wear specialty PAW PATROL jerseys for the game.